Petunia…or Pig? She Always Made You Smile. We all have our favorite dogs. Each dog that comes into kennel grabs our hearts. Petunia, the bulldog, began to stay with us when she was a baby. She always seemed to have a hidden agenda. When it was time to head back into the kennel after play time, She loved to dart the other direction. Petunia loved a good game of canine tag. With that bulldog snout so short, the game usually didn’t last to long. She would be snorting so loud…concern would actually cross our minds. We nick named her bulldozer. She had no problem charging at your legs to try to mow you over. I can say she succeeded to knock me over at least a couple times. I remember we were in the kennel and all of a sudden I’d feel a big WHACK on the back of my calves. My feet shot out from underneath me. All I heard was the sound of my rear end landing on the floor. Nothing a couple Tylenol couldn’t fix. Looking her direction, I am pretty sure she had a smirk on that beautiful flat face! The game of tag would begin again. During the summer months, if we had a marshmallow roast while Petunia was a guest, it was not uncommon for my kids to leash her up and have her join us by the campfire. Petunia passed away a couple years ago. They still aren’t sure why. Her family was a wonderful fit for her and I know they miss her. Now You See Them….Now You Don’t! Every month, money is spent on tennis balls. Some months it is 100 balls worth. Other months (summer) we can go through a few hundred balls. We are also fortunate that some of our clients donate tennis balls too. Most balls get eaten alive and end up in the trash. Some balls get thrown in the “waste” section and deemed no good! Some get thrown over the fence and a few weeks later we go on a ball hunt and collect the few that we can find. 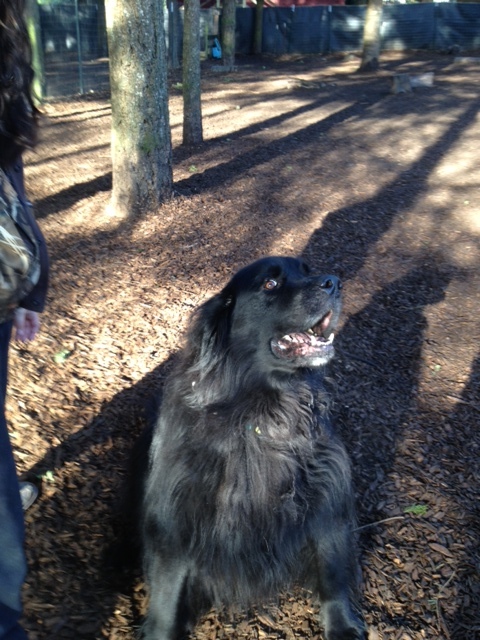 Barney, the Newfoundland, was in kennel for a couple weeks. He is the kind grandpa type. Very easy going but if those young pups start to get out of hand…he will mosey over and let them know they need to settle down. He appreciates a good ball. A few weeks ago, I had Ella throw a whole new set in…we needed them after the holiday rush and all the ball were ruined. It is nice to see all the bright yellow balls in the run. The dogs immediately start to enjoy them. We clean out all the dogs kennels every morning during breakfast. We like to get in there after a good nights sleep and get all the bits of dirt and fur that comes with having a dog. We place all the bedding back in place and fill up their bowls. During the course of the day, I noticed all of our nice new balls were starting to disappear. I figured they were getting dirty and they were blending in with their surroundings. After the 3rd run of the day, It was noticeable that the balls were missing. I figured I would send Spencer out to collect them from the pasture… where I am sure many balls had been sent. The next morning, I was going about my daily cleaning duties….I entered Barneys kennel. He always has a thick pad and a blanket…I picked up the blanket to shake it out…low and behold there were at least 7 balls! He was smuggling in balls and then moving them into the corner of his kennel. Breakfast prep finished. I called the dogs in…Barney enters. I stopped him and made him lift his lips. 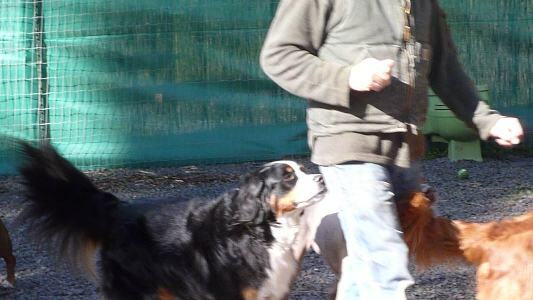 Dramatic theater happens at Reynolds Kennels all the time. Another great day care day at Reynolds Kennels. Julie is out playing with our furry friends. Xavi, notices Millie off to the side with something on her mind. Xavi: Millie, What are you thinking about? Millie: I just love Julie. She is so wonderful! She plays with us and gives us treats. I just wish I could kiss her all over her face. Xavi: (has a bit of a crush on Millie) I’ll take care of that….Millie, you go stand behind her and I will do the rest. Xavi: All right…listen up! I’m going to go and play ball with Julie. Molly, Buster, Sandy and Zoe create a diversion….then watch my “Kiss Julies’ Face” plan be executed to perfection. Millie…. you deserve your wish! I’ll tell you…it has been a rainy down poor here in Tualatin for days! Sometimes I wonder if I need to build an ark of some sort. The dark has been bugging me… so I thought I would reflect back when the sun was out. Who doesn’t love a Pinata! A couple years ago in May, we decided to hold a Golden/ Labrador Retriever play date. With Cinco de Mayo in the air, we decided to treat our friends to a pinata. We had no idea how our dogs would react to such a activity. We stacked a couple bails of hay so we could get some height. Filled a pinata dog with a bunch of different dog treats….and gave it a whirl! We have done it a few more times since then…just because the dogs seem to have such a blast. My human kids like to remind me that I have NEVER provided a pinata for them. Not for birthdays, graduation, holidays….NEVER! Reynolds Kennels has grown to be a family business that is lucky to have a big group of dog lovers. Derek and I moved to Oregon in 2000 and love it! 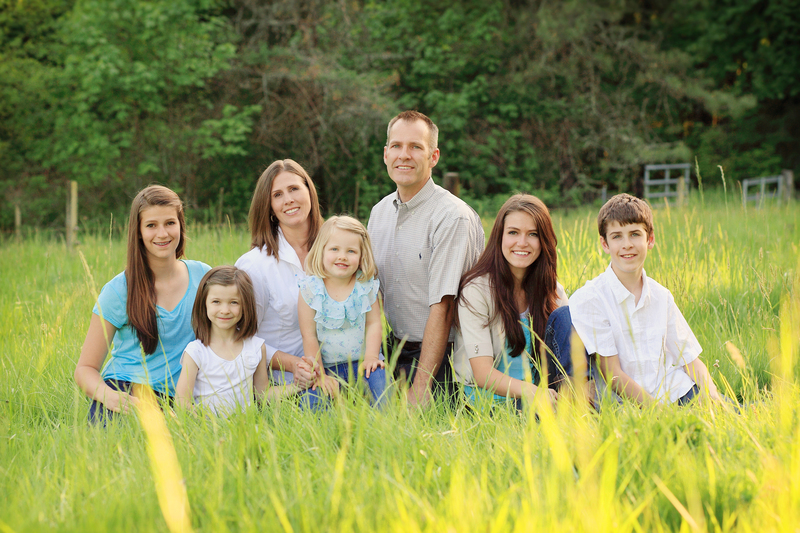 We have lived in Tualatin for 14 years. When we moved to our property 7 years ago, we had no plans to build a kennel to care for our furry friends. Our oldest, Madelyn, was 14 at the time. She was asked to care for a couple dogs while their parents were on an extended business trip (37 days). Those two king cavalier spaniels moved right in our house. We had so much fun! Everyone in the house participated in their care. Our kennel story is truly the American dream. 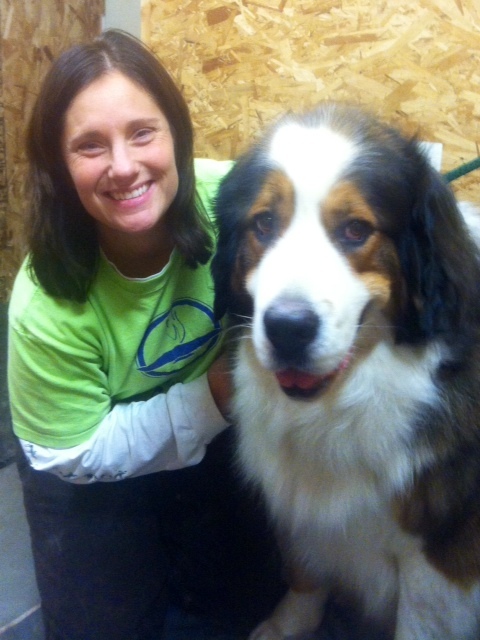 I will share more of our kennel stories later…but I want to make sure I include our wonderful staff today. We are grateful to have Julie, our only other (almost full time) staff member. Along with 12 other teenage dog lovers. We could not keep our dogs happy without our wonderful “almost adults”. 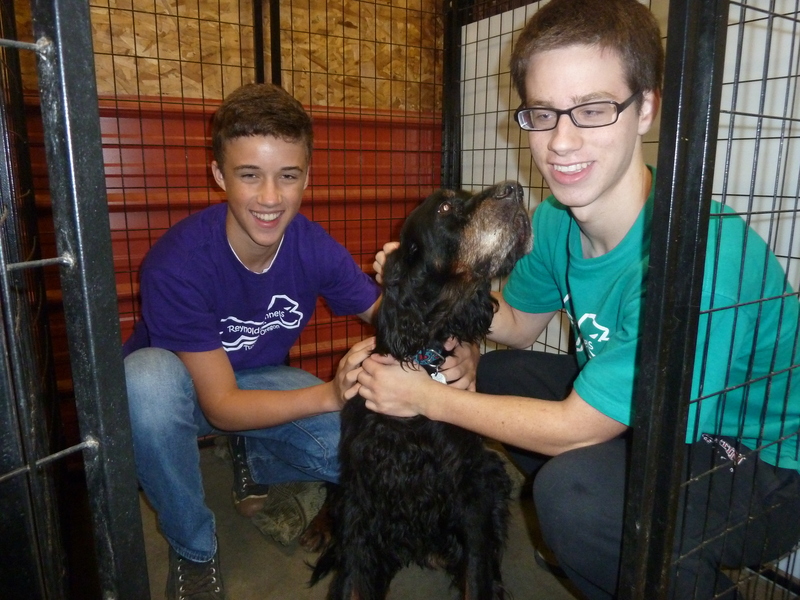 There is something about spending time with these young adults, that really makes life special at our kennel. Our canine friends really feel a love from them that is different from adults. Teenagers are out there to have fun! We have lots of talent on our staff as well. Taylor is one of our current staff members. He not only is great with our dogs but he enjoys filming them. I am in awe of what these kids can to with the technology out there. Frankly, it often goes over my head. But when Taylor brought this in to me…I just had to share it with all of you. I call it…..”A Day at Reynolds Kennels” That is not very creative but that is exactly what Taylor has captured. I hope Taylor will keep sharing his talents with us….so I can share them with you! The snow doesn’t fall often here in the Northwest. When it does, the whole town takes a few days off. Not dogs! They love the fluffy white stuff. 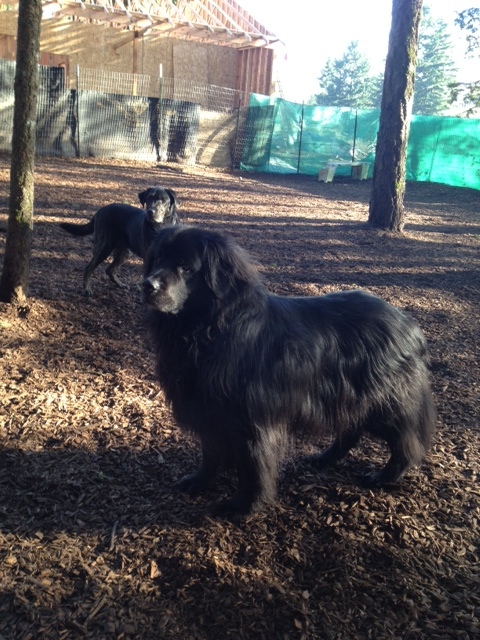 Our heavy coated dogs seem to get a second wind every 15 minutes when there is a chill in the air. I don’t blame them! I would not be comfortable wearing a heavy coat 24/7. Our staff enjoys playing in the snow. Snowmen and forts are common in the dog run areas after a good snow storm. Today, a snowman was the sculpture of choice. As you can see….one arm gone….now the other one is gone. Soon it will be tipped over and flat. With a few happy dogs enjoying the challenge of destruction. What!? What is all this white stuff….Just Snow in the Northwest! It is cold outside but all of our furry friends love it! What a nice day for some canine friends, dog treats and good ole’ Snow Angels. With the Winter Olympics about to begin, I think a good blanket of white gets us in the mood. Although, the only gold circles we see are on the ground in random places. I love to see my son, Spencer, out there running around with the dogs. He loves to get in some good exercise too. Welcome to Oregon, Jack Frost! If you have a dog…bring it by Reynolds Kennels…we will play with him!